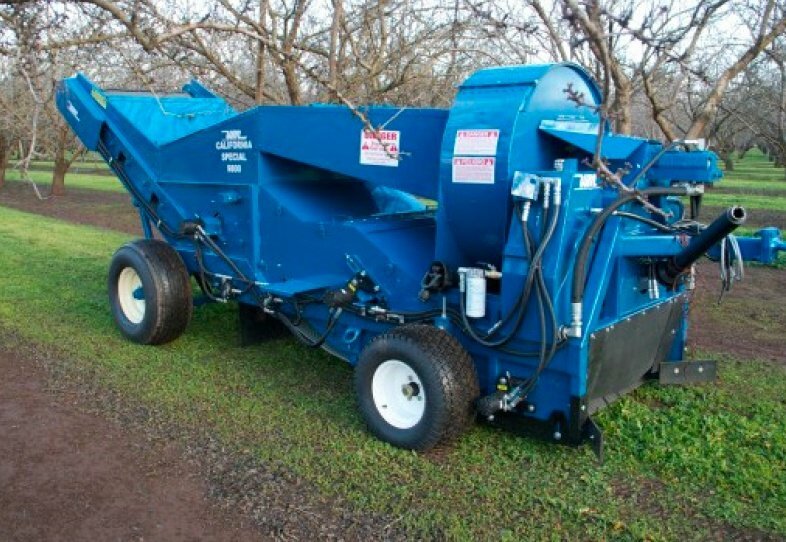 The Weiss McNair 9800 California Special nut harvester is designed to help California meet all government clean air and water regulations. 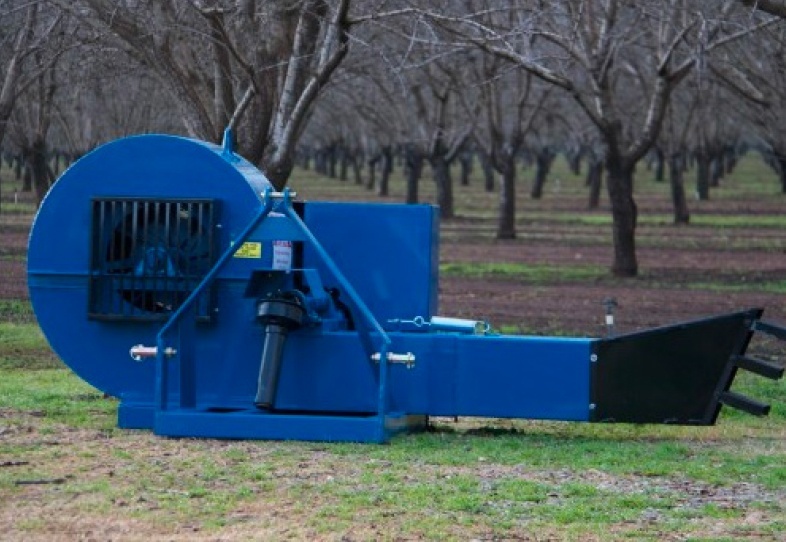 The long intermediate dirt chain allows dirt to sift through the chain before the suction fan vacuums debris from the crop for less dust and a cleaner harvest. 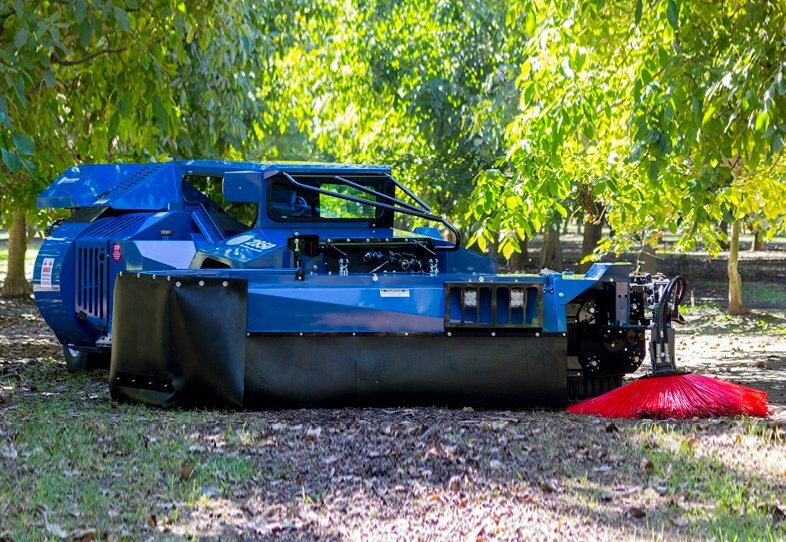 The vacuum system provides for faster, cleaner loads. 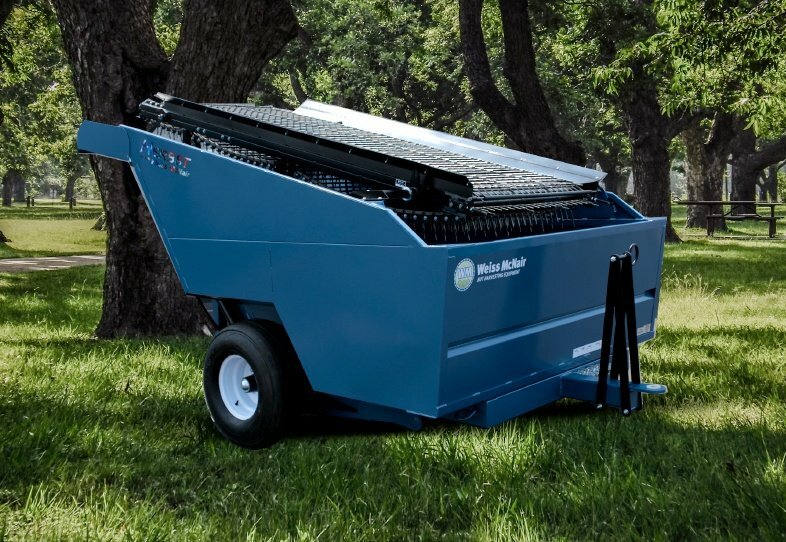 The 9800 has fewer parts, while gear boxes, drive sprockets, extension shafts, and roller chains have been eliminated to assure minimal downtime. Extra large rear balloon tires provide maximum floatation for reduced compaction.